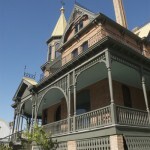 If you Google “623 E. Adams St.” in Phoenix, you won’t find much information about the F.S. Baird Machine Shop. 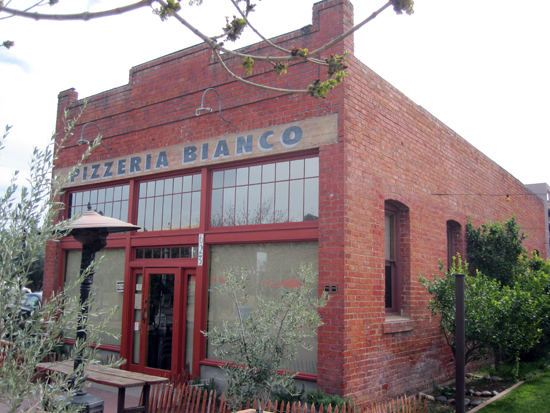 You will, however, find 54,000+ results for Pizzeria Bianco, the 42-seat legendary pizza spot that has occupied the building since 1996. What most locals and tourists fail to realize is that the Baird Machine Shop holds incredible history. Built c.1929 by an unknown builder, the Baird Machine Shop sits on its original plot in what is now Heritage Square. 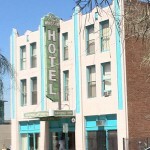 Though some neighboring buildings around the square were built in other parts of Phoenix and later transplanted, the most industrial of them has been there for 82 years. The most commercial looking of all of Heritage Square’s buildings, the Baird Machine Shop’s 20th century commercial-style brick sheathing and heavy concrete foundation lent itself to its edgy beginnings as — you guessed it — a machine shop. It was later used as a sign shop before becoming the cozy restaurant space that it is today. Architecturally, the roof is of note. 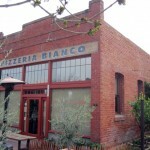 The stepped parapets above the Pizzeria Bianco sign hide the pitched-truss roof line overhead. 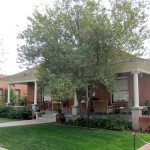 Just below, segmented windows form a frame around the centralized entryway. As evidenced by the building’s size, it has always been just a single storefront, but the two window bays around either side of the front door were always there. These most likely were used to display machinery (and later, signage) to passersby. The Baird Machine Shop remains as one of Phoenix’s original examples of neighborhood commercial architecture — a rare sight these days. The F.S. 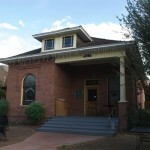 Baird Machine Shop was added to the National Register of Historic Places in September 1985.